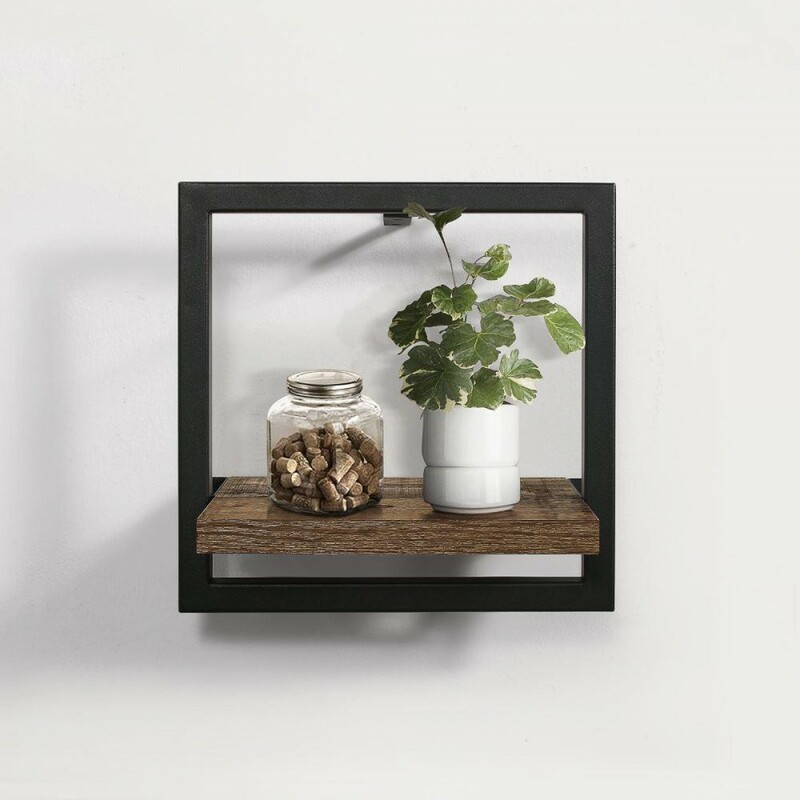 The Urban Small Floating Shelf is a shelf from our industrial inspired, Urban Collection. The shelf is perfectly suited to any room in a modern home. The Urban Small Floating Shelf is small in size, making it suitable for even the smallest spaces, providing an extra surface that can be used for decoration or for small trinkets. The Urban Small Floating Shelf is a practical piece of furniture that creates interest and adds industrial chic to the space. The Urban Small Floating Shelf has been inspired by industrial design. Use the Urban Small Floating Shelf as an alternative to a shelving unit or floor standing bookcase. Additionally, the Urban Small Floating Shelf can be used to add interest to the room or to tie the space together. Add a new feature to the smallest of corners in the room. The Urban Small Floating Shelf can be used for multiple uses. Position the shelf in the hallway to store items such as your keys and wallets. Use in the living room to place attractive plants, vases or even speakers in the room. Use the Urban Small Floating Shelf to keep your trinkets, make-up and hair brushes too. This small shelf is perfect for little items that commonly mess up your home! The Urban Small Floating Shelf is one of several pieces of furniture in our Urban Collection. Create an industrial themed space in your home by mix and matching the Urban Collection, using the pieces you need to create the perfect atmosphere. The Urban Small Floating Shelf has an attractive design that makes the shelf appear to float on the wall. The extra storage space can be used to keep rooms organised and free from clutter. The product is part of the Urban Wooden Bedroom Furniture Collection.